St Nicholas has one of the most interesting church interiors in Staffordshaire and is well worth visiting. 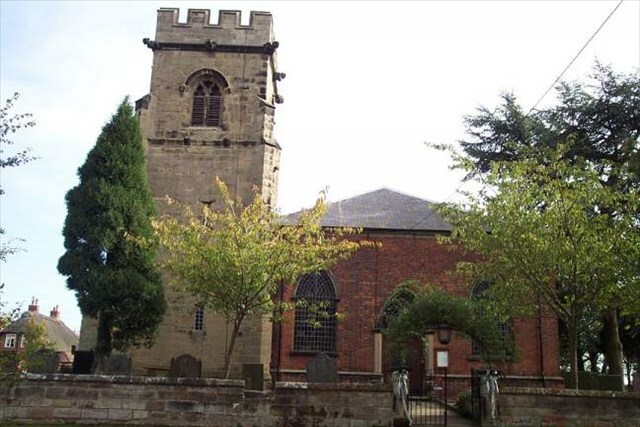 It is Grade 1 listed and is a complete example of a late 18th-century church rebuilding, including a very rare late 18th-century and early 19th-century conversion of a medieval aisle to the former church into a family chapel with neo-medieval fittings and monuments. Hopefully the caches that we place will encourage other Staffordshire-based CO's to contribute to the world's largest series. If anybody would like to expand to this series please do, I would just ask that you could let Sadexploration know first so he can keep track of the Church numbers and names to avoid duplication.